Is there a stickie or post floating around the forum regarding guidelines for custom-building Windows PCs for use with Blackmagic hardware? Possibly broken into various usage types - live production, editing, etc...since the demands can vary from situation to situation. I know on the pro-audio side of things, especially with Avid ProTools, there are super-specific guidelines for Windows PC builds. You mean that Sticky post in Post Production sub forum..
And for resolve there is a complete build guide in the support section of the website. Xtreemtec wrote: You mean that Sticky post in Post Production sub forum.. I'm sorry, but that thread and the configuration guide leave a lot to be desired. For anyone to help you, we would need to know what you are planing to do. I am new here and this question seems very legit to me. Answers, however, does not. 2013 post - how many Resolve iterations did we have in this time - m? Enough, to make a difference in HW configs. Also, what I saw there - was just some people braging about their HW, no real help in choosing something for modern day..
1. Can I work With Raven Ridge APU's? 2. Intel i7-8700k (or 8400) for 4K editing while new generation of Video cards arrive? 2.1. Will resolve work with UHD iGPU 630? If I have 32GB of system memory, it could have 16GB of vRAM available to it, how would that translate in usage? Just to understand me better, I was using intel HD4400 with 16GB of DDR3 in a notebook (with broken 745M - not working anymore) and workflow was magnificient - no laging, everything runs fast and nice! only issue if start stacking to much things to have in memory (like testing temporal NR) and only that would crash* resolve or make it unworkable. But otherwise - spledid fluent flow of production, fast and effective. *HD4400 could only use up to 2048MB of system memory as vRAM. 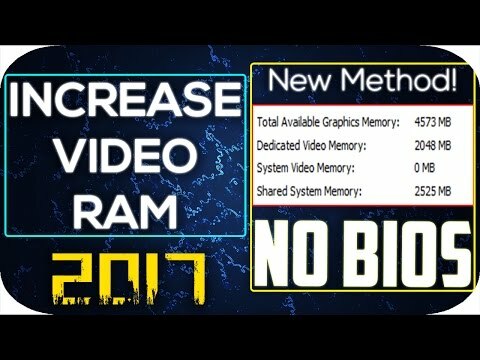 Newer iGPU's can use of up to 50% of RAM installed in Your system. Can 8700K work with Resolve or 2200G is the only way in this (defined by my budget) universe? These systems would easily give me ~8GB of vRAM so needed for resolve and I could keep them running exports after hours. I hope it is OK to borrow this thread to try to answer two of KarolisValickas questens. 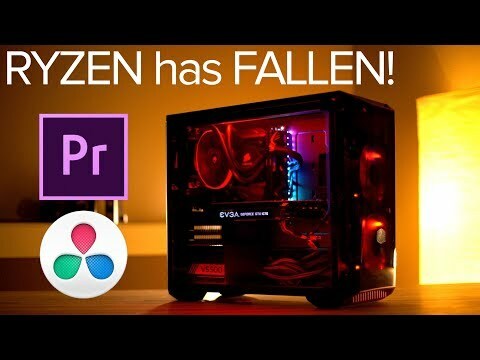 The Ryzen Raven Ridge 2400G or 2200G is not the way to go. The problem is that they share the memory and the videoram. The videoram will be the very slow DDR4 and not the faster videoram on a separate Graphics card. All the 2400G reviews except one, use expensive DDR4-3200. If you look at the total price for a 2400G including fast DDR4-3200, will the total price only be a little lower than a Ryzen with a separate Graphics card with it own fast GDDR5 vRam. And the next generation of faster Ryzen will be introduced mid April. The Intel 8700K is only 6 cores. Last year I was in this forum recommended to use at least 8 cores for UHD. Later I saw a YouTube video with a water cooled 8700K. It was overclocked to 5.0 GHz. But I have no experience how good it is for resolve. Thank You for Your reply. The thing I've discovered ( in strictly non-empirical ways) was that amount of vRAM matters, not the speed. What I am asking is: making a system with at least 8GB of vRAM without touching 800€. I am working with i7-4500U and old core2duo e6600 €3,16GHz and they work flawlessly without any hickups with resolve in 4K! So speed - not important , and amount of vRAM = important. I am just searching for people here to try that out and share..
Do You know anyone here with an i7-8700K who would be willing to disconnect their videocard and check (benchmark) performance for iGPU 630? With at least 16GB of system memory? I'm running an 8700K and it's way more than enough for UHD, around 30% usage playing UHD ProRes/UHD timeline with around 6 nodes. Cores and clock speed haven't increased a lot lately but the efficiency of the processors has. The GPU does most of the work here anyway and I'm using a 1080ti 11GB. I have never used the iGPU but I wouldn't expect great performance from it for UHD. With a CPU intensive codec such as Redcode I can ALMOST get real time playback with 6k Red in a UHD timeline, it's the CPU that's maxed out in this case rather than the GPU. Superb to hear this Paul. Would it be to much to ask You benchmark how different experience is and if reaolve at all works with only iGPU? VRAM speed is important too for many demanding Resolve FX processes. Peter Chamberlain wrote: VRAM speed is important too for many demanding Resolve FX processes. I would not argue otherwise! I believe, that Your statement is 100% true and also add that if there is not enough vRAM it is not important how fast it is. All the data in resolve is "cargo". And system RAM is old truck capable of 40Mph top speed. vRAM on 1080Ti is Tesla Truck capable of 120Mph top speed. vRAM on 1030 is Tesla 3 capable of 100Mph top speed. It would seem 1030 is better, but if we must put ALL thw cargo in ONE GO. It is clear that small hatchback would not fit as much as a slow and old truck, even though beying much more effective and faster. And from my testing since I've done that, it seems that amount ("cargo capacity") is more important than speed. It would be nice to get someone from BM to answer that. I have a i7-8700k, and I could not get Resolve to run with iGPU. However, it does run well with RX580 GPU, which may save you some money over 1080ti. I have also run Resolve with an RX470, which may save you a little bit more. Of course all the cryptocurrency mining has wrought havoc on the GPU market, so prices may vary. I have a i7-8700k, and I could not get Resolve to run with iGPU. However, it does run well with RX580 GPU, which may save you some money over 1080ti. I have also run Resolve with an RX470, which may save you a little be more. Of course all the cryptocurrency mining has wrought havoc on the GPU market, so prices may vary. Remark: This is the OpenCL benckmark for all 3 cards. But nVidea cards will use CUDA for higher performance. I'm using Resolve Studio, but still no Intel 630 function. I haven't tried too hard to make it run, since I have an adequate GPU, and there isn't benefit to adding a lower functioning iGPU to the mix. I think the main problem is the default memory allocation to the 630 is quite low, and I didn't feel like creating a bunch of registry hacks to increase it. When reading that you don't have any Intel 630 function, do I wonder where the error can be? Do you run the latest version af Resolve? Can't you change between CUDA and OpenCL? I don't know what OpenCL library BMD uses, but can it be a problem with several or all of the Coffee Lake CPU's? I will like ask you to report the problem in a separate thread. I think some must look into it. Spencer_Meyer wrote: I'm using Resolve Studio, but still no Intel 630 function. I haven't tried too hard to make it run, since I have an adequate GPU, and there isn't benefit to adding a lower functioning iGPU to the mix. I think the main problem is the default memory allocation to the 630 is quite low, and I didn't feel like creating a bunch of registry hacks to increase it. What I read somewhere is that adding quicksync ,(integrated intel GPU) seriously improves resolve speed so much it becomes 4K realtime 60fps. Since it is Hardware implementation, therefore super effective. And usually for iGPU no registry hacks are needed, just press Win+Pause and then under it choose to increase memmory allocation as well as rightclick on desktop -> display settings -> advanced . I am not by my computer and it is different in different versions of windows but in general is just a placemark there you can write in any amount in between 128MB and 50% of Your system memory (RAM). Of course for You it would not make sense, but for me it makes or brakes whole deal. If resolve loads on iGPU alone I am saved if not - than... Ryzen super low end 2200G. Resolve does all its image processing in GPU. The CPUs are used for decoding and encoding compressed files, and not image processing. I don't know why you stooped considering the 8700K, but if it is because of the poor OpenCL performance can I tell you that the 2200G and 2400G only perform a little better. My idea after reading several of the reviews is that in many games will it perform 2-2.5 times better than with a Intel iGpu. If you choose to follow the AMD road will I recommend you to wait and look on one of the new next gen AMD cpu that will be introduced and be available word wide 19 april. They will be manufactured in the 12+ nm process compared to the 14 nm for the 2200G. They will also be produced with better thermal properties as the 2200G is using thermal paste instead of solder between its dies and heat spreaders as on the new Ryzens. 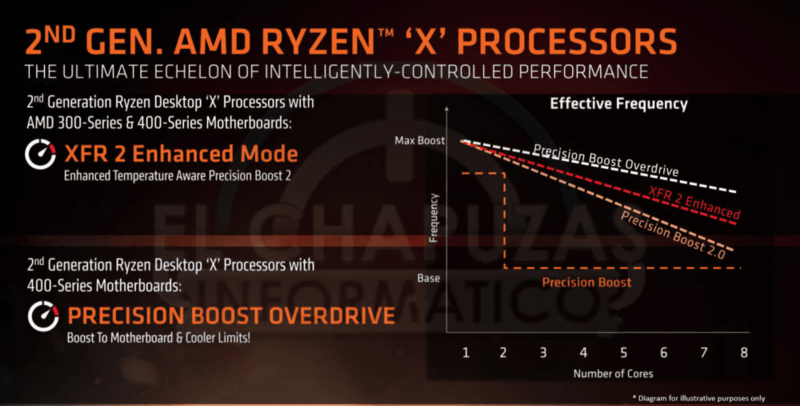 Further will the new Ryzen come with the new Precision Boost 2 Technology that will improve multi core performance. KarolisValickas wrote: What I read somewhere is that adding quicksync ,(integrated intel GPU) seriously improves resolve speed so much it becomes 4K realtime 60fps. Since it is Hardware implementation, therefore super effective. I had some time this morning to do more testing, and I did get Resolve to run on the Intel UHD 630. You will have to edit the registry to get it to work, I ended up allocating 8gb of system memory, and it seems to work ok. It isn't what I would call fast, and you will definitely need to rely on render caching. But if you have some patience, I think it could be viable for churning out a youtube video, until you can save up for a dedicated GPU. Ogh thank You Spencer!!! You, Mister are a gift of god! If it runs... and You confirmed it runs, I believe it will run better than HD4400, which I am using now! But as I understand those 8GB are dedicates and that amount of RAM is lost from OS - yes? And here I feel that I have to issue a Warning. DO NOT EDIT the registry if you don't understand what you are doing. It can damage your Windows installation. I expect you have 16 GB of Ram, and I have some time ago read that, you can edit UHD with a GTX 1060 with only 6GB. So my question to some of the experts. What is the size to allocate for the best performance. Is it 8 GB or may be 6 GB. Can some with internal knowledge please give a estimate? Yes, the registry edit was similar to that method, with a small difference, the new registry key had to be called "GMM" instead of DVM, but all the other steps were the same. Also, I tried setting the allocated memory to 4gb, but after rebooting windows reported 8gb. Also, if you have another graphics card in your system it must be disabled or Resolve will give you an error message and close. @KarolisValickas, yes, I have 16gb of system memory, and after the modification only 8 are remaining for the system. Anyway, I'm glad I could help you all out. Happy editing. Allocating more memory to a very low performance GPU like the Intel 630 may allow you to open UHD files, but expectations for real work would seem dim. I have no trouble doing basic UHD cutting, primary correction, power windows and real-time playback with 2GB vram on 1080p timelines The issue isn't memory alone. It's also the processing the card can manage. So it is not a surprice to me the Spencer Meyer write that if you have a nVidea card in your system it must be disabled or Resolve will give you an error message and close. But what about a card as the AMD R9 Fury with 4 GB? It has a strong OpenCL performance, but only 4 GB of HMB1 vRam. Both Intel and AMD use OpenCL. Can they Coexcist. Do you think it will be possiable to use the 8 GB from the Intel 8700K and the AMD R9 Fury for the OpenCL processing of UHD? Will it require a change to Resolve? You might get the #resolve start with that hack, but please don't came back when it will crash in rendering your final product. I strongly recommend to get a proper gpu. I'm using an AMD card, the issue is that Resolve wants to use the dedicated GPU, so if it sees that a dedicated GPU exists, it does not want to use the onboard graphics. If you have an R9 Fury, just use that, don't waste time on the Intel. The Intel is only semi-useful until you can save for a proper GPU. The rule of thumb seems to be this: Don't mix GPUs, performance will be better with one (use the best you have). Multiple GPUs only seems to give an advantage if they are identical. Intel iGPU support might only be in the paid version?? I haven't seen any performance feedback using the iGPU only but 8700K iGPu has some powerful 4K H.264/265 encoding/decoding capabilities. Also not sure how BM has added Intel support - ie timeline decoding/playback and/or encoding/render. I'm planning to build a new 8700K desktop for 4K/UHD using Asus Prime Z370A m/board, 32GB DDR4 3200 etc. Currently running a G1 gaming GTX 960 4GB which I'll try before upgrading the discrete GPU. I am also looking for a new Computer for Da Vinchi Resolve. I will like to see The new Ryzen 7 2700X coming out 19th April and compare it to the Intel 8700K. If I don't like what I se will I probably aim for the new Threadripper coming in 2nd half of 2018. But as it say, the Z370 is just a rename of the previus Z270 chipset for the Coffee Lake CPUs. We are still waiting for the real Coffe Lake chipset which will be called Z390, H370, B360 and H110. What do you think about them?